Rinse leek slices well to remove any grit, then pat dry. 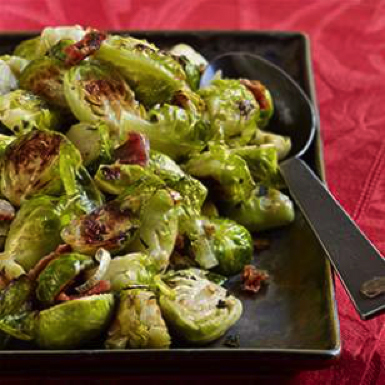 Combine with Brussels sprouts, pancetta, sage, oil, salt and pepper in a large roasting pan. Roast, stirring once, until the Brussels sprouts are tender, 18 to 20 minutes. You may keep warm in a 225°F oven for up to 15 minutes.